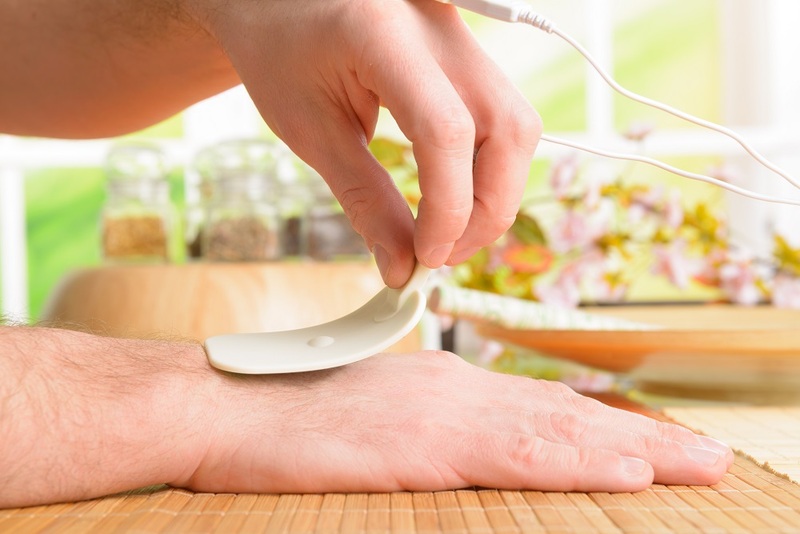 If you have chronic pain or muscle pain and have searched just about every remedy, you may have come across electrotherapy. While it sounds like it may involve innovative technology, electrotherapy is an old remedy that’s become a newly accepted practice. Electrotherapy treatment can be highly effective and can even be tried at home - but be sure you’re informed before you give it a try. There are four questions you should ask yourself when considering a new treatment. 1. First off, what is electrotherapy? Also called electromagnetic therapy, electrotherapy is a process in which small doses of electric current are delivered to problem areas of the body to stimulate nerves and muscles. It is mainly used to alleviate pain, drive the regeneration of tissue and strengthen damaged or weak muscles. It can also be used to improve circulation and stimulate bone growth. The process aims to improve your body’s basic physical functions. There are several types of electrotherapy, but the two most popular are TENS and EMS. The most commonly used form is TENS, which stands for transcutaneous electrical nerve stimulation. Transcutaneous means the treatment is only skin-deep. First, small square-shaped adhesive pads called electrodes, which are attached to an electrical current device, are placed on the problem area. Consumer-friendly TENS therapy units often eliminate the wiring and combine the electrodes with the electric current machine into a single device that can be worn. It includes a handheld controller that you can use to control the dosage of the electrical current. The discreet garment design allows you to use the device at home, at work or wherever you’d like. The second most commonly used form of electrotherapy is EMS – electrical muscle stimulation. EMS also sends small electrical currents to problem areas, but it aims to cause muscle contraction instead of nerve stimulation. In short, TENS stimulates the nerves while EMS stimulates the muscles. EMS imitates the signal that the brain sends to muscles, causing them to move. This can increase circulation, relax muscle spasms, reduce inflammation, ease tension and strengthen muscles. Like TENS, EMS can also be used to provide pain relief, but it does a little more for your muscles. You should consult your doctor before trying electrotherapy if you are unsure. Otherwise, feel free to use electrotherapy to treat chronic pain conditions or muscle pain. 3. What can I use electrotherapy for? These are just some of the conditions that electrotherapy can alleviate. If you would like to know if TENS or EMS electromagnetic therapy can relieve pain associated with another type of chronic pain or muscle pain, consult with your doctor or physical therapist to see if this may be an option for you. 4. How effective is electrotherapy? While evidence on electrotherapy is inconclusive, keep in mind that electrotherapy is not meant to replace other medical treatment; it should be used in tandem with your existing treatment. The evidence is inconclusive so far – electrotherapy works for some people and not for others. But it doesn’t have a negative or regressive impact if it doesn’t turn out to be the best solution for you – so why not give it a shot? If you decide that you want to try electrotherapy, you can purchase your own electrotherapy equipment to use at home. However, it is recommended that you test electrotherapy in a medical facility first. Once you’ve tried it out, feel free to use the electrotherapy equipment available here at MMAR Medical at home at your convenience. Our products are meant to be accessible not just to medical facilities but also to consumers, which is why we offer high-quality medical equipment at an affordable price. Reach out to us with any questions you may have. And feel free to leave a comment about your own experiences below!